The C-25 Interlocking Unit Replacement allows BART operations to function with more efficiency, increased flexibility in managing train operations, and improved operational response times in case of emergencies. 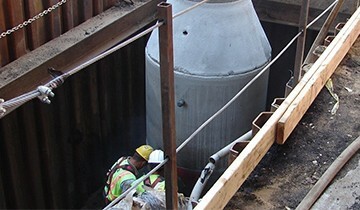 The project involves replacing turnouts along with 1,000 feet of original track between Lafayette and Orinda stations. 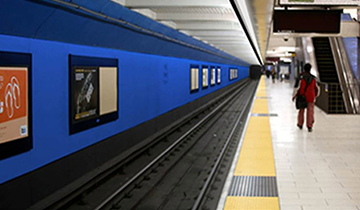 The C-25 track replacement project is one of the first in a series of maintenance upgrades to rail and turnouts throughout the BART system. 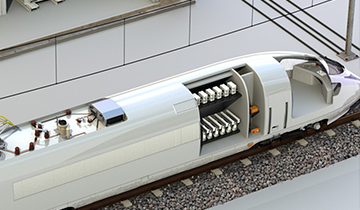 Replacing old track and turnouts at strategic, high traffic-volume locations ensures that the system’s integrity remains strong at critical points throughout the system. KKCS is providing project management and engineering design services in addition to oversight of field reconnaissance and data gathering. Specific activities include verifying site conditions; collecting existing data on existing trackwork configuration and reviewing as-built drawings; establishing a survey control network to facilitate supplemental survey and construction; verifying locations of traction power, traction power supply substation (TPSS) feeder circuits, track wires, and signal circuits; verifying locations of underground utilities, track wires, and signal circuits; preparing traffic control plan proposals to perform construction; and performing engineering work to prepare a complete package of plans, specifications, and cost estimates. In delivering this project, KKCS will provide BART with updated topographic base maps; survey control drawings; site plans of existing conditions and utilities; traffic control plan proposals; preliminary engineering drawings and design issue matrices; final scope and specifications from the BART Facility Standards (BFS) and modifications of those specifications as applicable to C-25 track and turnouts; and a conformed set of drawings for construction.